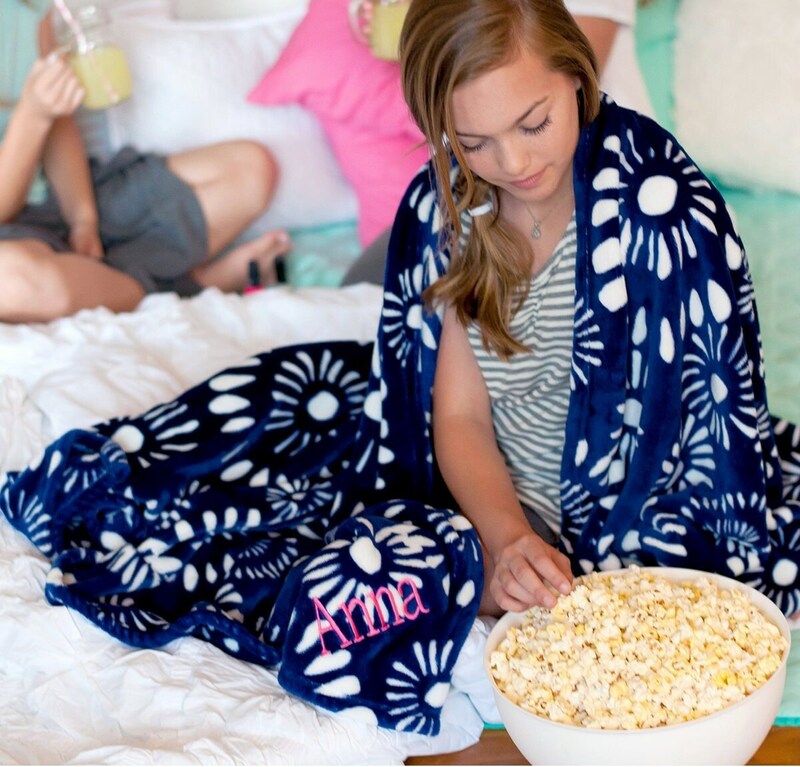 Our super soft monogram throw blankets are the perfect graduation gift, and dorm room necessity! In two gorgeous prints, they're just the thing for adding a pop of color to any bedroom. Be sure to see our matching coordinates in the Mia Tile and Emerson Paisley prints. We have a full line of accessories including: Shower Caddies, Market Totes, Laundry Hampers, Throw Pillows, Duffel Bags, Lunch Bags, Backpacks, and so much more! 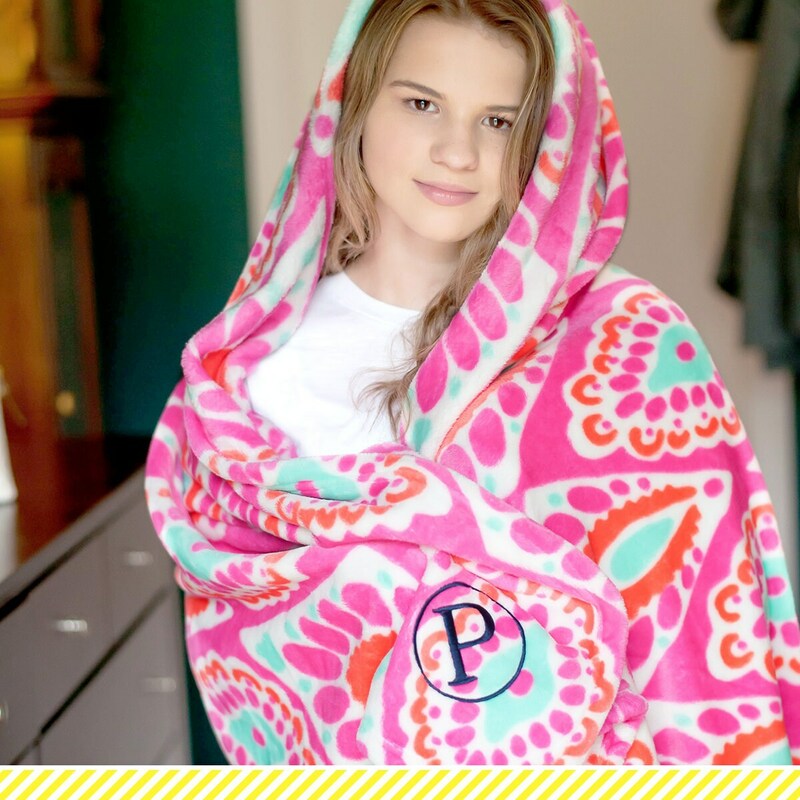 Our super soft and plush blankets are oversized, and softer than the softest throw blanket you've ever felt!! 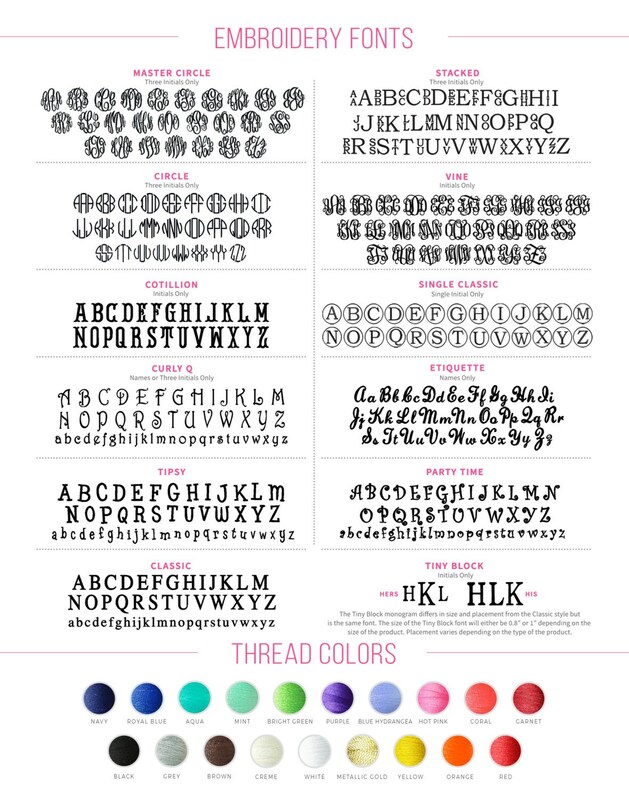 Next, make your selections from the drop down menus for color, monogram font, and quantity. Beautiful blanket ordered as a gift for a friend’s daughter that had surgery. 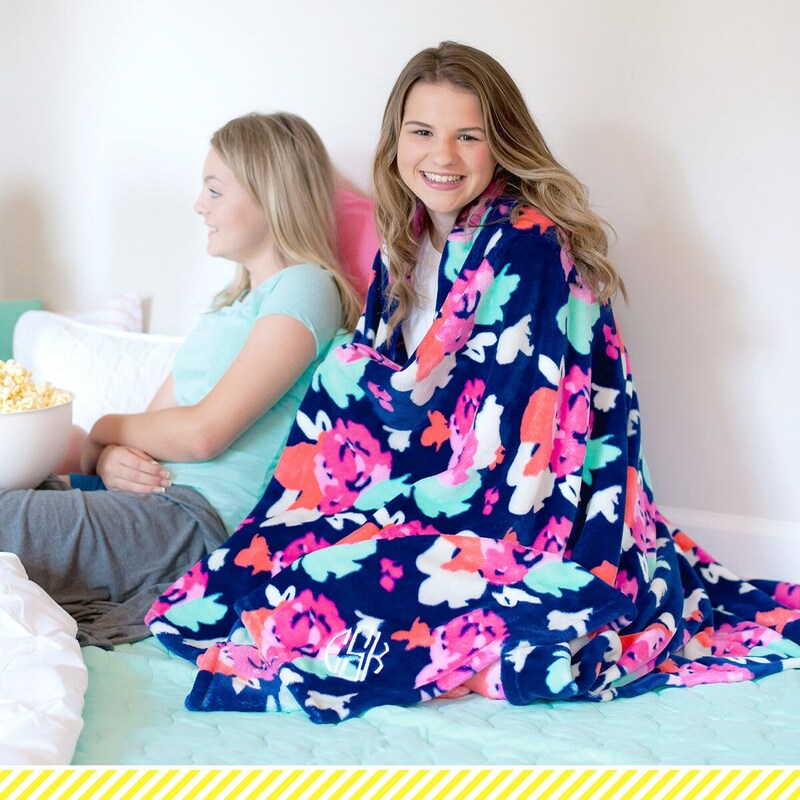 It’s extra long, and snuggly!